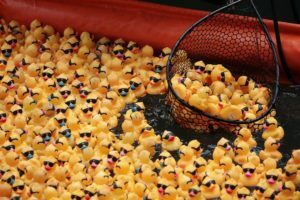 Rubber ducks are fun and your duck race promotions should be too! 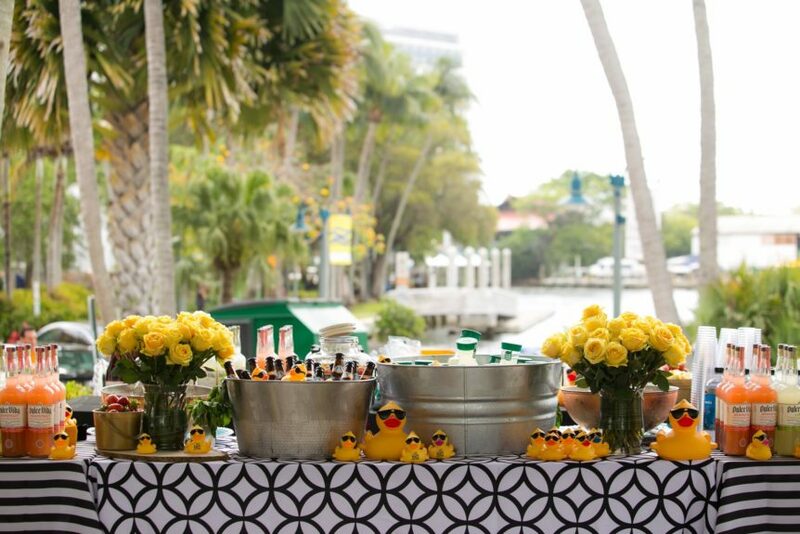 Check out these ideas for some fun ways to promote your rubber duck race. Encourage people in your community to take a duck selfie with your duck balloon using a hashtag. 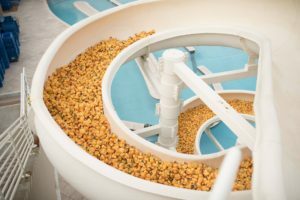 People who post pictures on social media are entered into a weekly drawing. The Exchange Club of Walla Walla had fun with this contest. 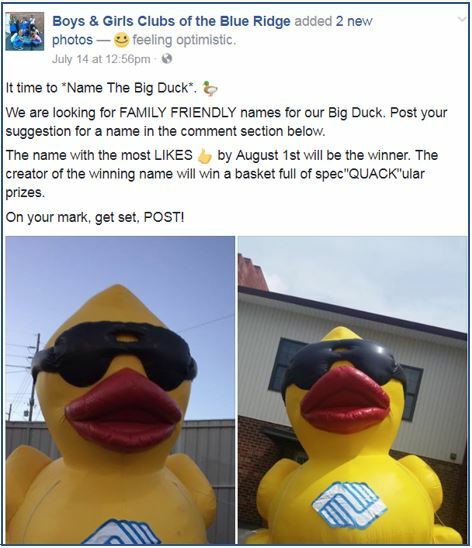 Post an image of your duck race balloon and ask your fans to post in the comments suggestions for your duck mascot name like our partner The Boys & Girls Club of the Blue Ridge did. The name with the most likes wins a duck adoption and prize pack! 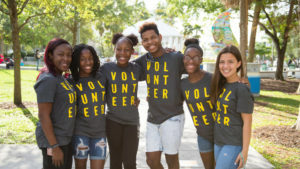 Create a fun duck adoption tracker at your office to create excitement about your race such as our nonprofit partner, Center for Prevention of Abuse, did for their duck race. 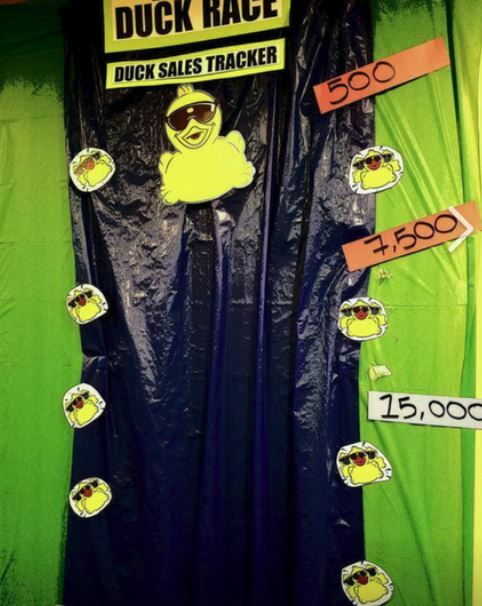 Have employees participate in a “duckorating” contest and award a prize to the winner. 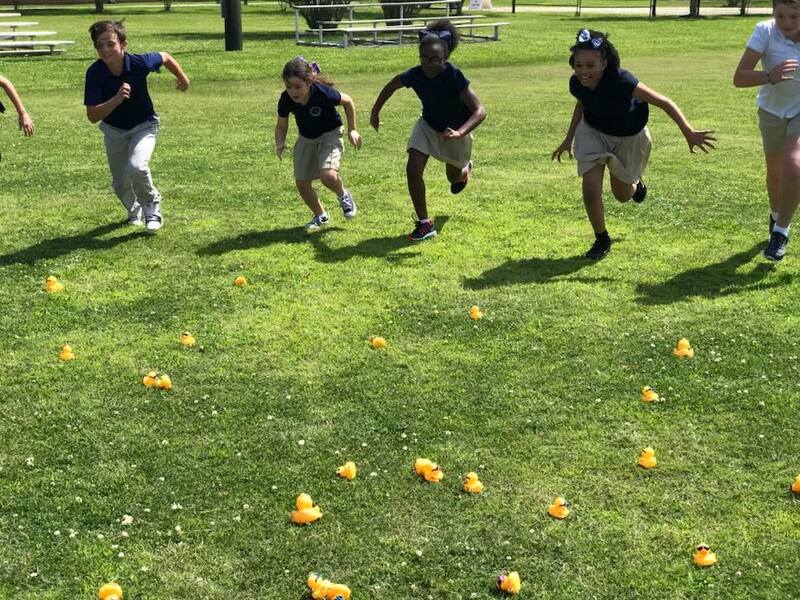 Our nonprofit partner, Clear Lake Christian School, recently had a duck hunt for their kindergarten through 5th graders! Students won fun prizes such as sunglasses and T-shirts. 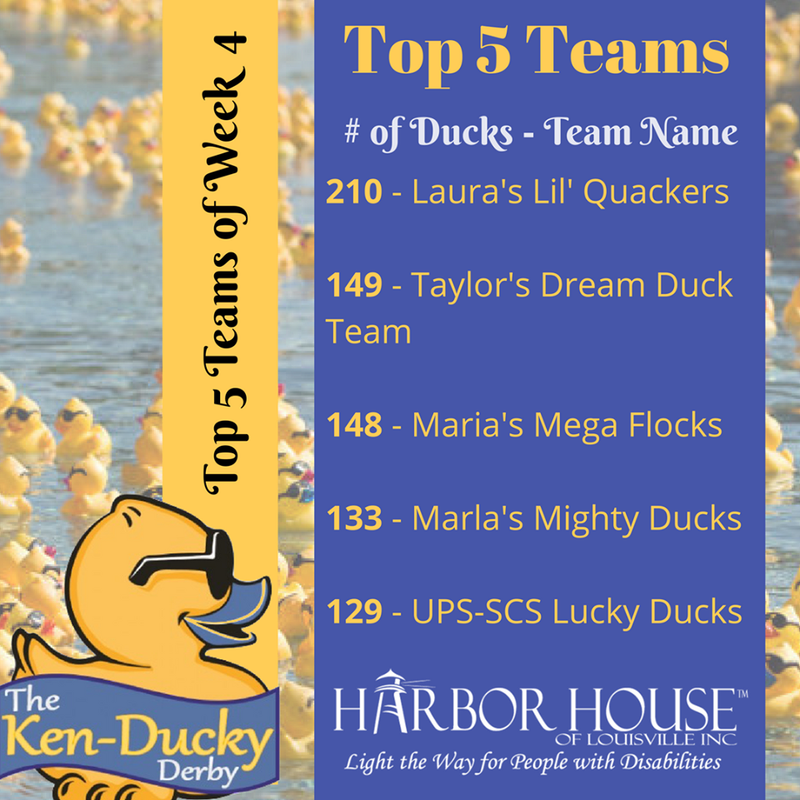 Post weekly updates to keep teams updated about their team sales to create some fun team competition such as this example from our nonprofit partner, Harbor House of Louisville. 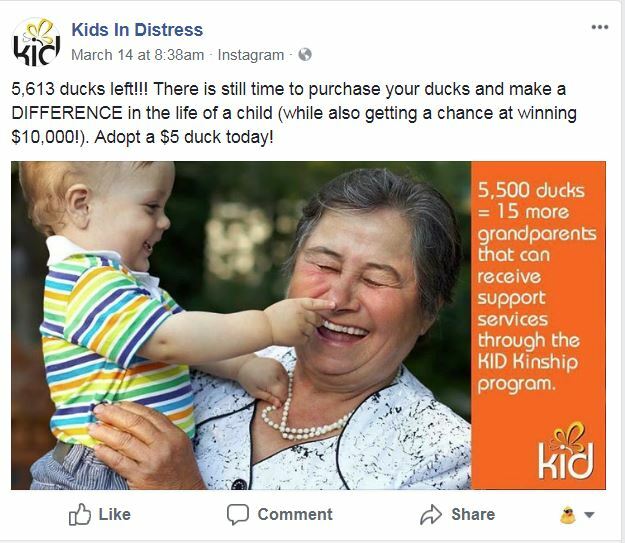 Our nonprofit partner, Kids in Distress, posted this image on their Instagram page with the amount of ducks that were left to adopt and how those ducks could help their programs. 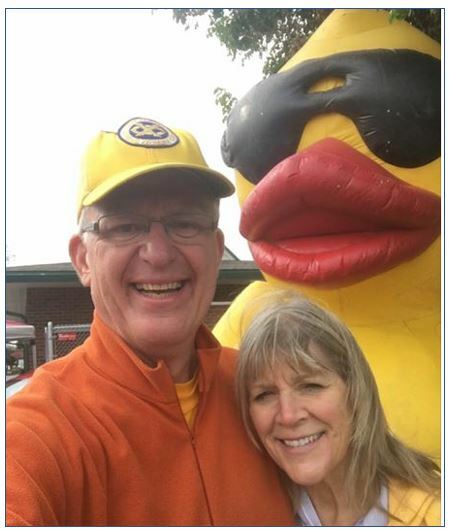 Share with us any fun ideas you have used to promote your duck race and we will feature them on our Facebook and Instagram Page.